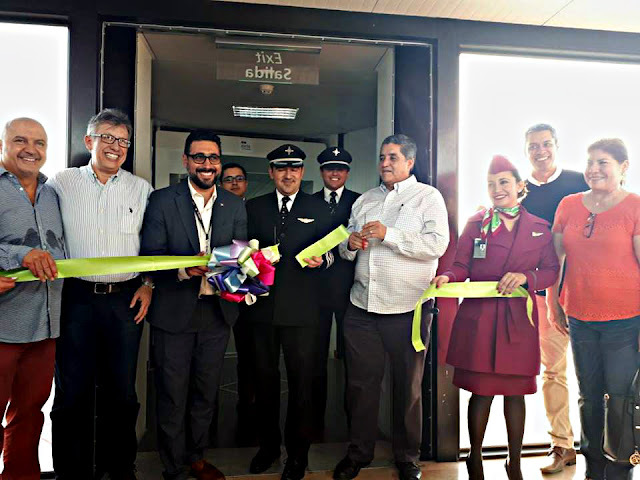 This new route represents over 5,500 new seats for the region within its 10-month time frame; the flight is available now with a low special fare of $99 USD to celebrate its opening. 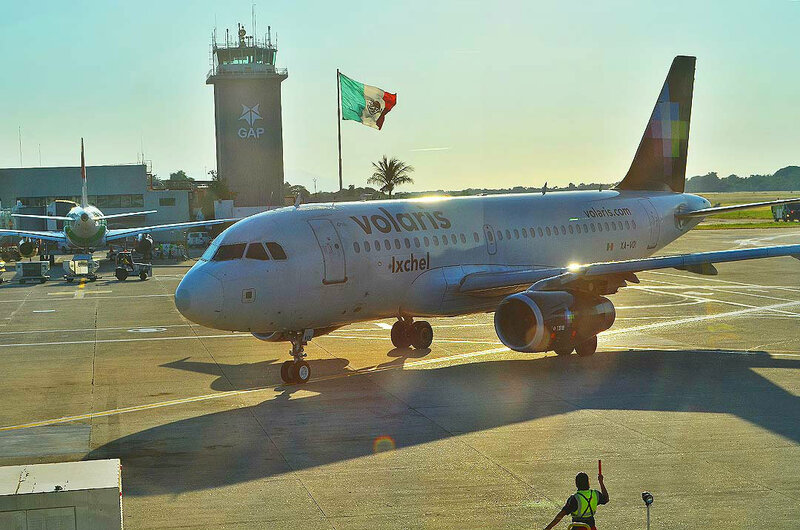 Mexican airline Volaris began new weekly direct service between Los Angeles, California, and the International “Lic. Gustavo Díaz Ordaz” Airport shared by Puerto Vallarta and the Riviera Nayarit this past Friday, November 17. 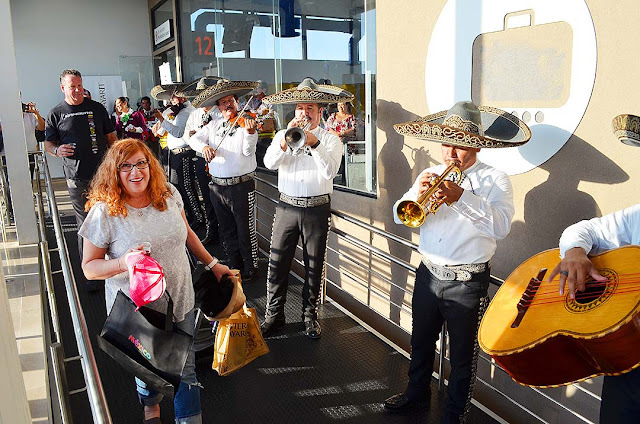 The Airbus A-319 landed on a hot, sunny day with authorities and tourism executives from Nayarit and Jalisco on hand to welcome all 144 passengers with mariachi music, signature cocktails and the typical warmth of the Mexican people. The Airbus A-319 landed on a hot, sunny day with authorities and tourism executives from Nayarit and Jalisco. The new route represents over 5,500 seats for the region and its initial schedule will operate for 40 weeks—although it’s intended to become a permanent flight, according to Miguel Angel Aguiñiga, Market Distribution and Development Director for Volaris. 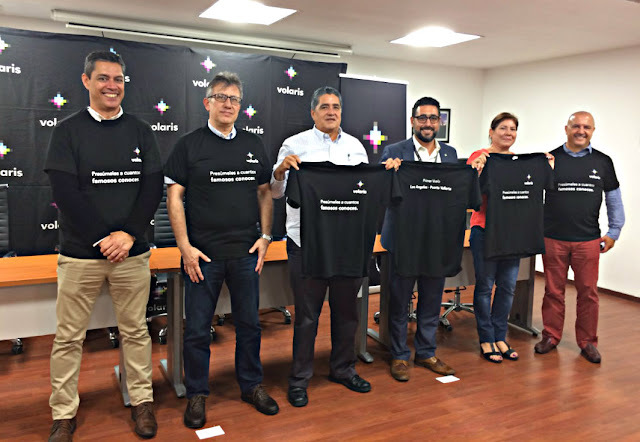 “We want these flights to last; we usually don’t open seasonal flights, we open them to stay (…) we want people to travel and to do it either to Puerto Vallarta and the Riviera Nayarit or to Los Angeles. Flying from the United States is a big challenge and we love it, since it expands our route portfolio and adds to the tourism and business exchange between both regions,” he added. This is also an opportunity for the people of Jalisco and Nayarit to connect with Los Angeles, home to many fellow nationals who can now travel to this region. Of special note is the fact that foreign tourists have taken advantage of their layover in Los Angeles to come to this destination without having to travel through Mexico City, and nearly 70% of the passengers on board this first flight were not Mexican nationals. Many of them came from England or France, as well as some North Americans with Middle Eastern roots. The LAX-PVR-LAX flight will operate on Fridays for 10 months, with a 12:04 p.m. departure from the city of Los Angeles and will arrive at Puerto Vallarta’s international airport at 5:14 p.m. The return flight departs Puerto Vallarta at 6:07 p.m. arriving in Los Angeles at 7:35 p.m. Currently the flight is offering a very attractive grand opening fare of only $99 USD with all taxes included, which is what’s known as a “clean fare,” a low-cost business model that has allowed Volaris to open 25 new routes just this year alone—seven of them nationally and 18 internationally. California continues to be the top state of origin for visitors from the United States to the Riviera Nayarit and has relevant revenue potential, which is why the influx of tourism to the region is guaranteed. The Riviera Nayarit Convention and Visitors Bureau (CVB) and the Bahia de Banderas Hotel and Motel Association reaffirm their commitment to continuing their intense efforts aimed at attracting more and better quality tourism to Mexico’s Pacific Treasure, with the support of the Government of the State of Nayarit via the Tourism Promotion Trust.